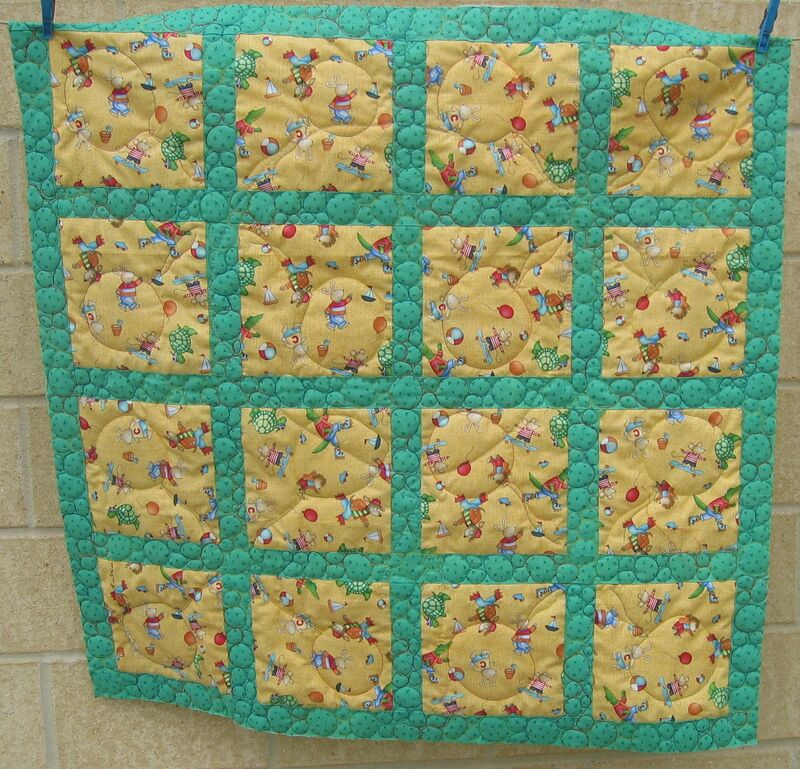 The next small quilt in the most recent batch was another child’s quilt. 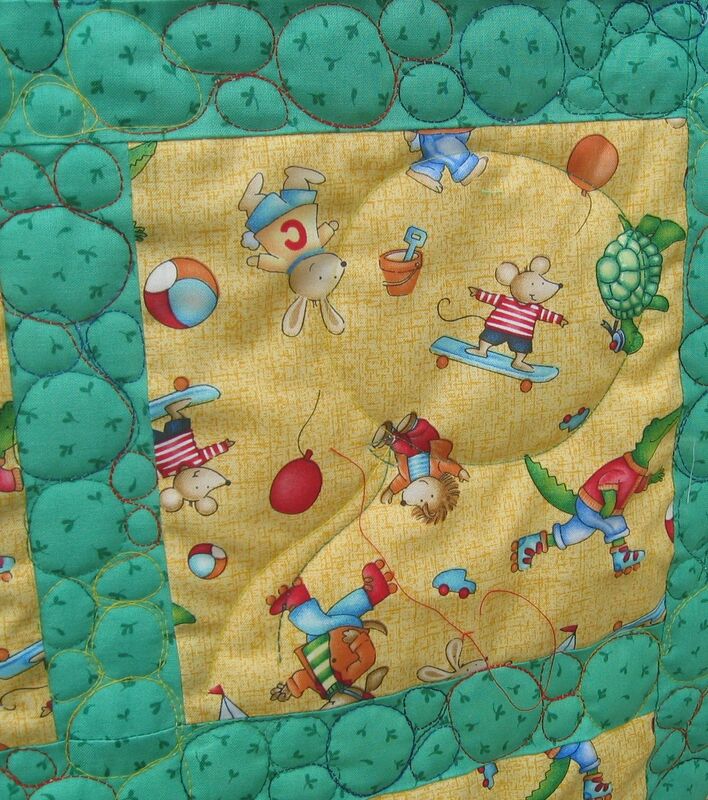 I looked at the fabric for a hint as to how to quilt it, and found it in the balloons. I hunted out some ancient variegated overlocker thread I had in bright primary colours (plus green) and used that to stitch a big balloon in each block. I didn’t mark the balloons — just stitched them from the end of a tail, up to the balloon, around in a sort of circle, then stitched a small triangle for the knot/mouthpiece, and came back down for another tail. Pretty easy, really. Top: Variegated overlocker thread I’ve had for years! Aha! How was the overlocker thread behaviour-wise? 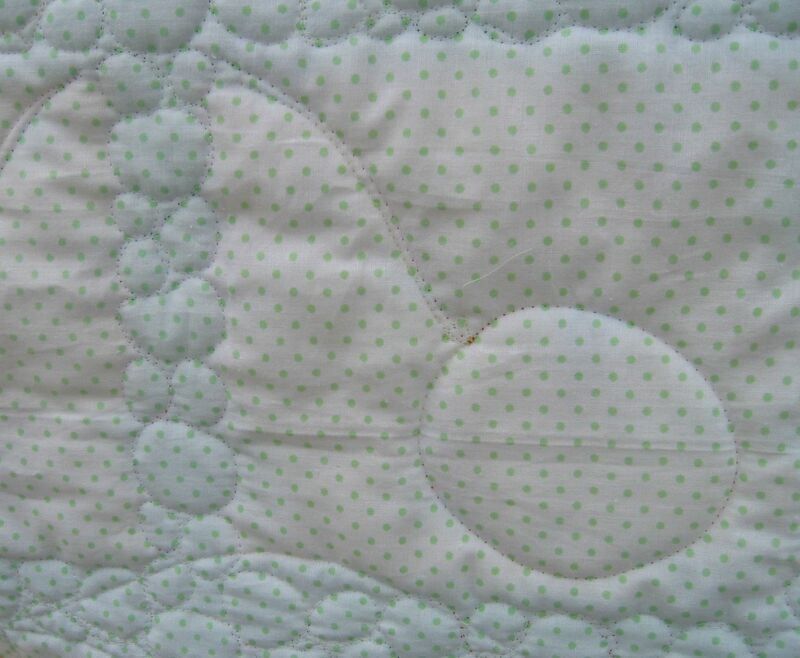 I use it a lot as a budget thread – thought I might be committing quilting sin but I find it very good and it lasts – f.o.r.e.v.e.r. Maybe a bit linty, but otherwise great. LOVE the balloons, great thinking! The overlocker thread was surprisingly good. It didn’t lint/fluff as much as some of the other cottons I’ve used, and only broke twice. 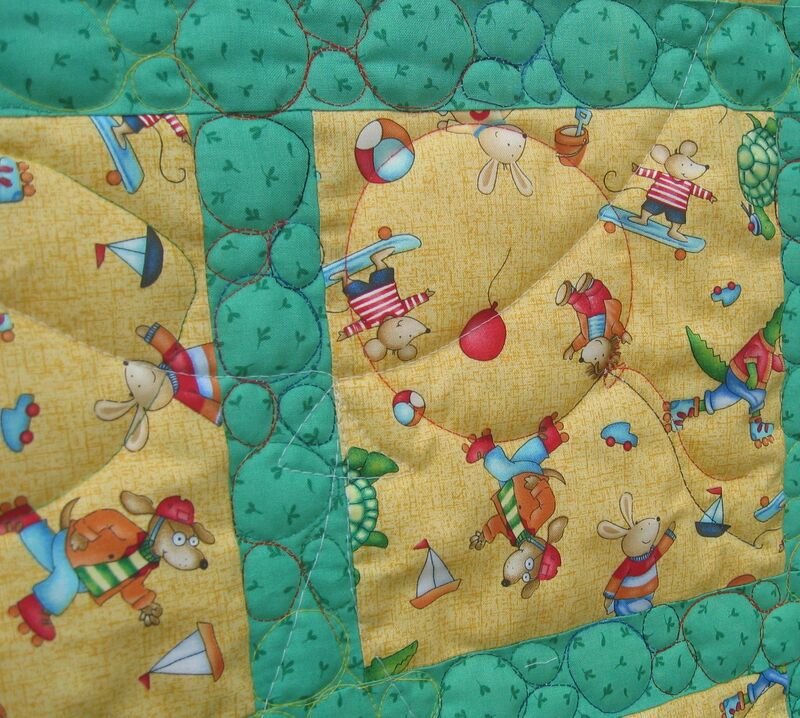 I have used that thread and the only thing I have had to watch is the quilting speed. Otherwise it works great! Go for the color needed and deal with all else later (my motto!). Love the balloons!!!! And the glow-in-the-dark idea!!! !